Just over five months after John Lennon had been shot dead in New York, another 20th century great was taken away from us. Bob Marley was just 36 when he died, thirty years ago today, in Miami on May 11th 1981. My introduction to Bob Marley’s music was via the 1972 Johnny Nash hit, ‘Stir It Up’, which was written by Marley prior to his own international success. At this point, the only way you’d have been aware of his music in this country would have been if you were part of the West Indian community, or scratching beneath the surface of Jamaican music. Marley was a member of the band The Wailers (previously The Wailing Wailers, formed in 1963), and part of a potent three-pronged attack, along with fellow founder members Peter Tosh and Bunny Wailer, which produced classic songs including ‘Get Up, Stand Up’, ‘I Shot The Sheriff’ (a top 10 UK hit and US number 1 for Eric Clapton in 1974) and, of course, ‘Stir It Up’, which The Wailers re-recorded themselves on their classic ‘Catch A Fire’ album, their first release on Chris Blackwell’s Island label in 1973 – the original being recorded back in 1967. It was only after the trio went their separate ways, following the release of the ‘Burnin’’ LP in 1974, that all subsequent recordings were issued as Bob Marley & The Wailers (the first being ‘Natty Dread’, also from ’74, which reached number 43 on the UK album chart). 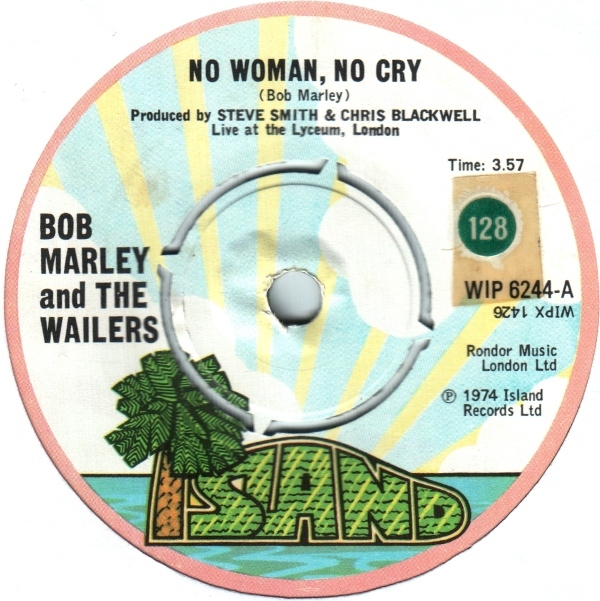 The commercial breakthrough came in 1975 when ‘No Woman, No Cry’ became their first top 10 hit single. This was a track that had originally appeared on ‘Natty Dread’, but it was a live version, famously recorded before an enraptured audience at The Lyceum Theatre in London in July ’75, which brought Bob Marley & The Wailers to mainstream attention. However, this would appear to be a one-off success, at least until 1977 when they’d score a trio of hits with ‘Exodus’, ‘Waiting In Vain’, and the dancefloor favourite ‘Jamming’, all taken from the album ‘Exodus’, which announced their arrival as a international force, and set Marley on the road to global acclaim and iconic status as the superstar of Reggae and a prophet of his time. Like John Lennon, Bob Marley was much more than a legendary musician / songwriter, his spiritual and political views setting him apart as an inspiration for an entire generation. What’s more, it’s a message that lives on, just as valid now as it was during his lifetime. For the black community here in the UK, most of whom had Caribbean roots, he offered a sense of pride and purpose at a time when racial discrimination was rife. 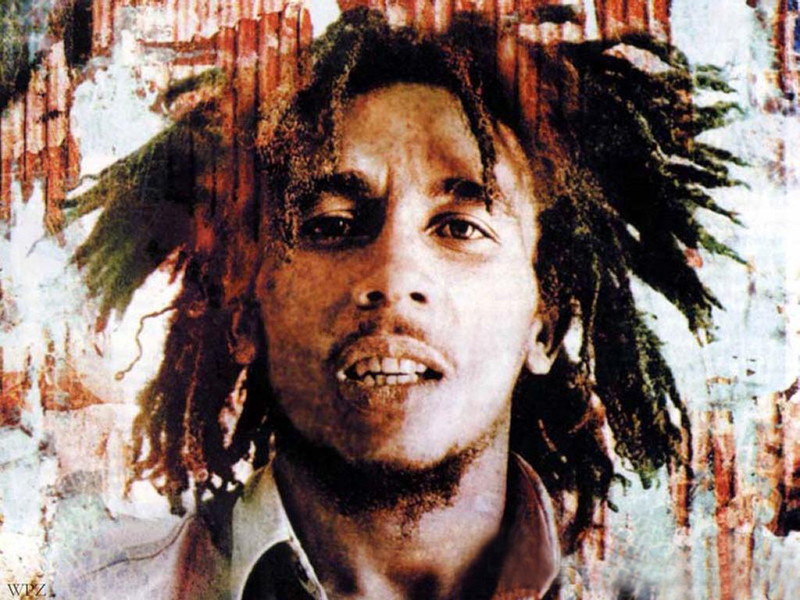 I remember that in Liverpool’s Toxteth district, where the majority of the city’s black population resided, the street signs had, at one point, all been painted in the red, gold and green of the Rastafari movement – with many young blacks throughout the country converting to this religion / way of life, following Marley’s example. In memory of the great man our next Living To Music session, at 9pm on Sunday June 5th, will be the ‘Exodus’ album, so I hope you can join us for what promises to be an irie assembly (further info via link below), and if you read this today, on the anniversary of his death, I’d ask you to take at least a few minutes out to pull up one, or more, of his many wonderful recordings on YouTube, sharing the love and vibrations via your favoured social networks, in tribute to someone who has touched so many and will forever continue to do so. 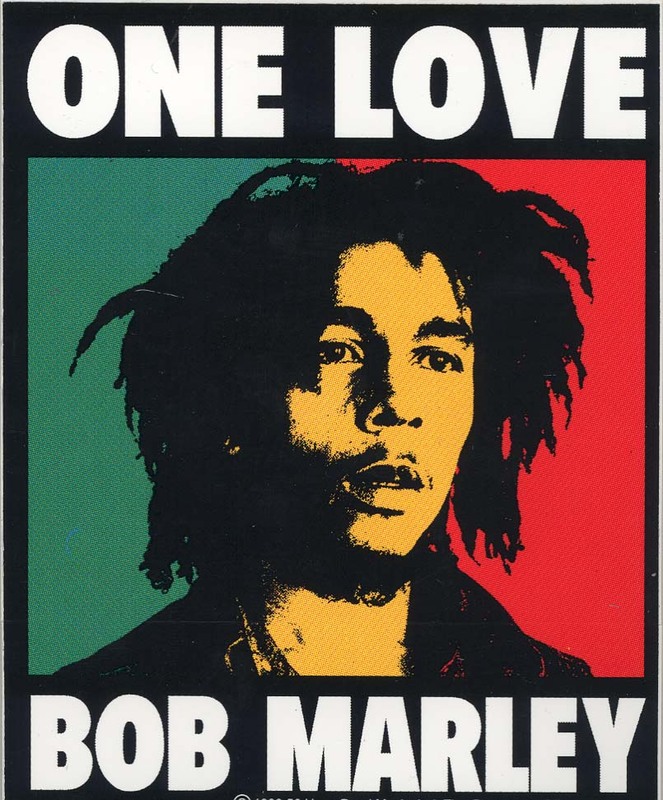 I grew up and fell in love with Bob, pure genius…I’m a smoking in his honour. Jah Rastafari! Hey Greg was just about to sit down in respect and listen to ‘Exodus’ but will save it till June 5th and join the party.